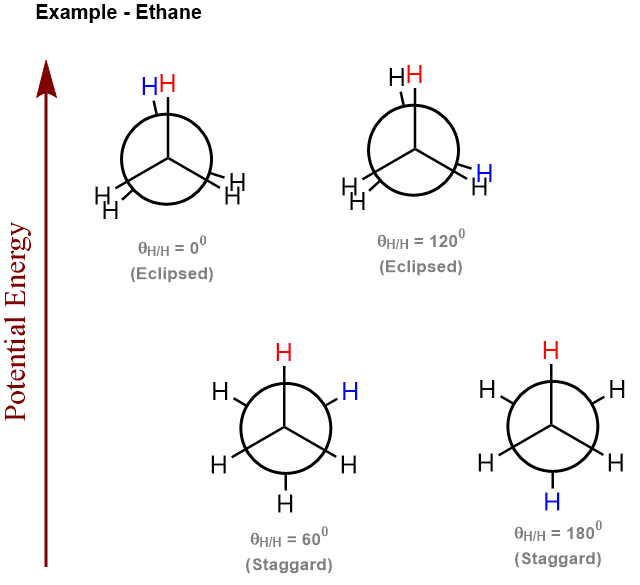 Torsional strain is the difference in energy between the staggered and eclipsed conformations of a molecule. The occurrence of torsional strain is explained via the favourable overlap between the bonding and antibonding MO that is seen in the staggered configuration. Molecular rotation disturbs the overlap thereby causing an increase in the energy of the entire molecule. Hence, the staggered conformations represent the lower energy state while the eclipsed does not. This difference in energy is called the torsional strain. For example, the torsional strain for ethane is approximately 12kJ/mol.